Classic Detroit TV Commercials – Time for a retro Detroit Television flashback! Growing up in Metro Detroit, I fondly remember the classic Detroit TV commercials from the 70s and 80s. In cable television’s infancy stages, local TV still ruled and local businesses pulled out the stops to produce campy, memorable commercials most Detroiters can STILL recite verbatim. The recent passing of Detroit appliance legend Ollie Fretter had me reflecting on those funny Fretter Appliance commercials. It didn’t take long to realize that local businesses, radio stations, and organizations have had some pretty awesome classic Detroit TV commercials over the years. I would have to say the Detroit Zoo commercial is probably the most beloved of the bunch. 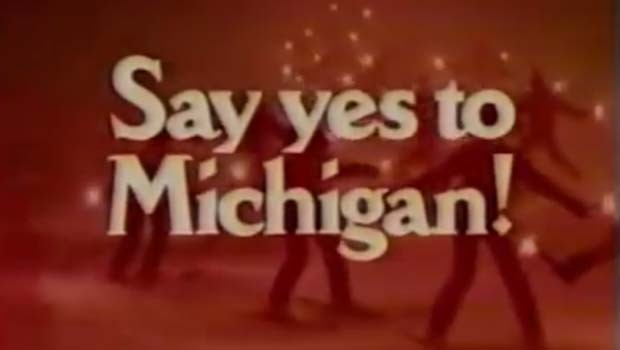 I actually prefer the “Say Yes To Michigan” style of TV campaign to the Pure Michigan one. I HAD to put Sonny Eliot on this list somewhere even though Towne Club Pop tasted AWFUL. The DIA “You Gotta Have Art” commercial, if I recall correctly, seemed to find its way on the air for the better part of a decade. So, what are your favorite vintage, uniquely Detroit Classic Detroit TV Commercials?